Finally, there's a healthy snack beside Soyjoy. 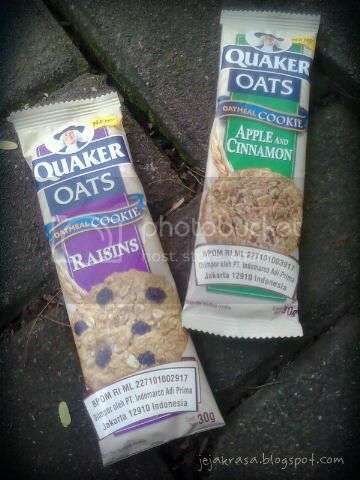 Well, I like their oatmeal, nowadays I have them as substitute for rice which more healthy and have a lot of fiber. 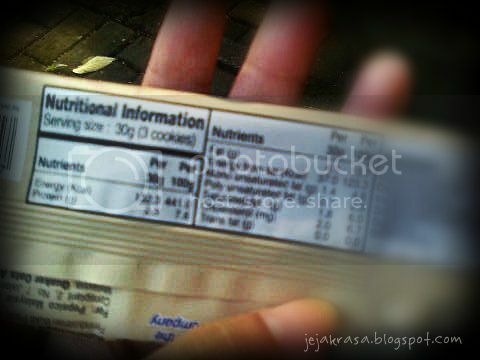 One pack around 30 gr contain three cookies has calories around 130. But, they only available on hypermarket such as Giant and Carrefour, I hadn't find one of these in nearest Alfamart or Indomart, which I could grab whenever snacks in need.